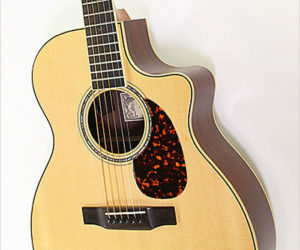 The Larrivee OMV-09, now available only on special order, is based on a classic OM size body with a Venetian cutaway and 09 level trim and wood selection. 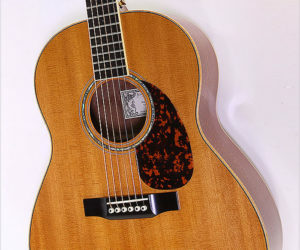 The top is Sitka Spruce, the back, sides and headplate are Indian Rosewood and the neck mahogany with ebony for the fingerboard and bridge. 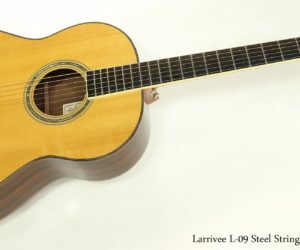 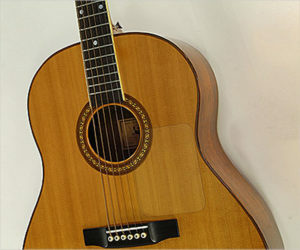 The Larrivee L-09 uses a body design based on something Jean Larrivee knows very well – the proportions of the Hauser-style classical guitar. 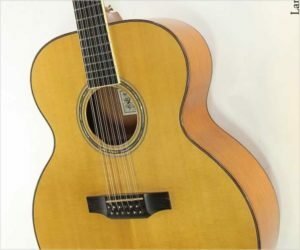 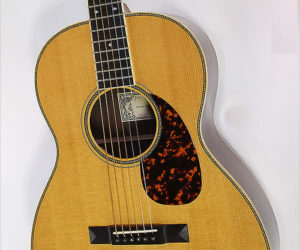 Larrivee’s LS body makes a more direct comparison, while the L body is larger; both take the proportions and adapt their structures for steel string guitars.